PKI 9385 is a chemical tincture which has an unique composition like natural DNA. The application of a small spot of this artificial DNA on valuable goods, that might be exposed to the danger of being stolen, guarantees the owner to be able to identify them later. 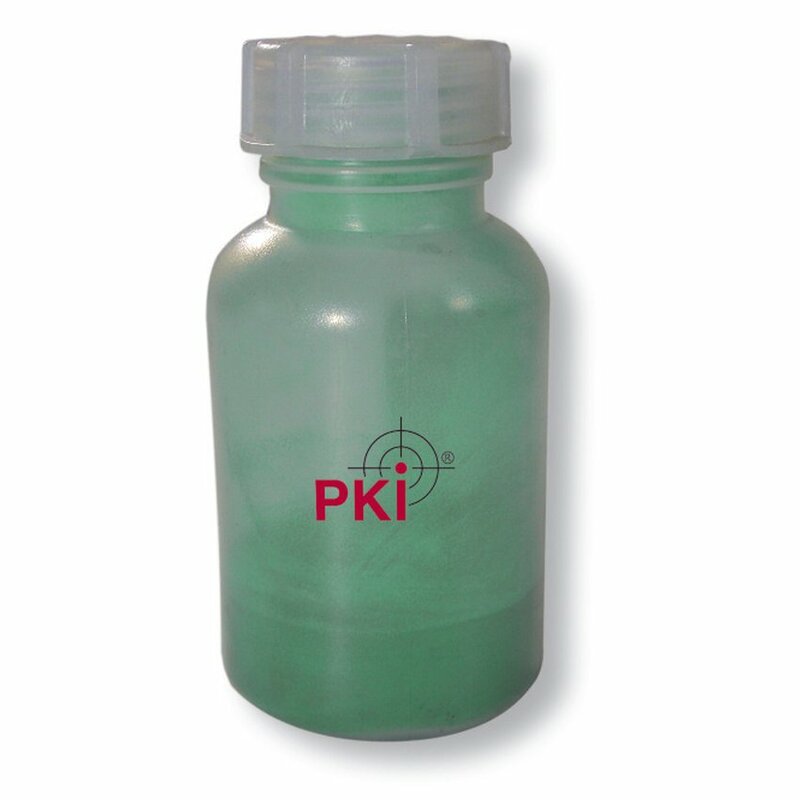 PKI 9385 is a transparent liquid which can hardly be removed due to the adhesive which is included in delivery. The liquid consists of different chemical elements, one of which becomes visible under UV-light. Numerized micro points represent the authenticating mark of the artificial DNA, as their composition is unique. These DNA sequences are registered and can be analyzed in laboratories.